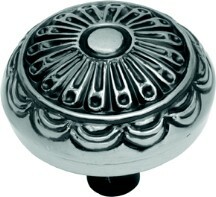 Check out "Valencia Series" Collection for similar knobs and pulls! Belwith P391-SM, Southwest Lodge – Find more items from "Belwith Keeler" at WoodworkerExpress.com. Belwith P394-SM, Silver Medallion 5-1/2" Backplate, Zinc Die Cast, Centers 3"